The first time Heather Martin experienced a lockdown drill, the traumatic memories from her past resurfaced. As instructed, Martin locked the classroom door, switched off the lights and covered the windows. 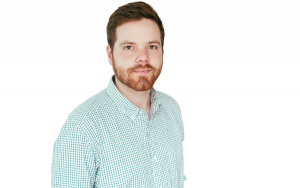 As a student close to 20 years ago, Martin remembers that disaster planning seldom went beyond a common fire drill. They didn’t prepare for the possibility that a gunman could stroll onto campus and terrorize scores of children. A month before graduating from Columbine High School, Martin was in the choir room when tragedy struck. On April 20, 1999, two students conducted one of America’s deadliest mass school shootings, killing 13 people before taking their own lives. In the ensuing years, Martin failed out of college, developed an eating disorder and struggled with paralyzing grief. But somehow, she found herself back at school — this time, at the front of the classroom. Today, she teaches high school English in nearby Aurora, Colorado. Martin is one of three educators who survived the Columbine shooting to speak to The 74 ahead of the 20th anniversary of the massacre this week. Two were high school seniors at the time who later became teachers, while a third recently retired from Columbine after more than three decades on the job. 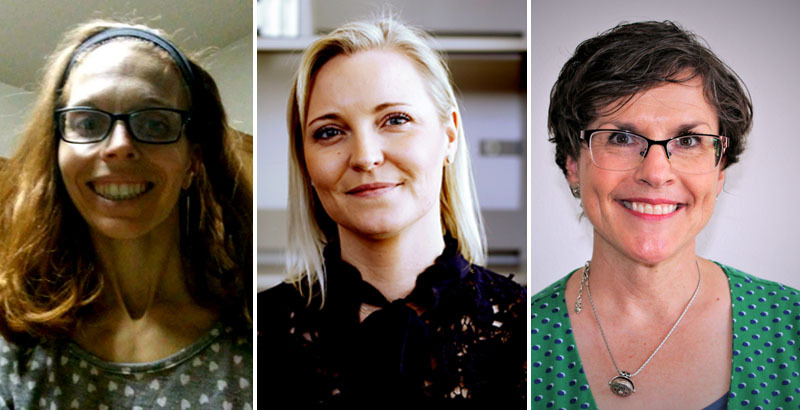 Each of their lives was deeply disrupted by the experience, yet they emerged from trauma and grief committed to educating students. 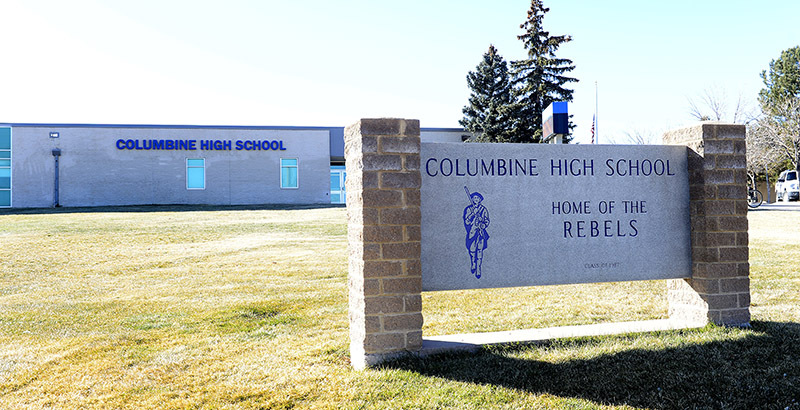 For much of America, “Columbine” isn’t a quiet suburban school in the shadows of an expansive, tranquil mountain range. Instead, the word is synonymous with mass school shootings and the ways they’ve upended the perception of safety in America’s public schools. Martin and other Columbine shooting survivors who work in schools witnessed that transformation firsthand. Two decades later, the educators are still haunted by common school occurrences like fire alarms and large crowds of young people. Though mass shootings in schools remain statistically rare, contentious debates over school violence prevention re-emerged after several tragedies last year. For some students today, shootings feel like an inescapable facet of school life. A few months after the February 2018 massacre in Parkland, Florida, a Pew Research Center survey found that more than half of teens worried about the possibility of a shooting at their school, and more than half of parents felt the same about a tragedy unfolding on their child’s campus. But before Michelle Porter’s senior year at Columbine High School in 1999, such an attack seemed unfathomable. “That’s insidious — to feel like, on a daily basis, you’re not safe at school,” said Porter, who now teaches bilingual kindergarten in McGregor, Texas. “I always felt safe at school.” Before the shooting, she said, “I had no fears of being at school, and that is not true for a lot of students” today. Martin had similar thoughts about her school prior to the tragedy. Columbine “seemed like any other high school in America,” she said. With its location in a well-off Denver suburb characterized by sprawling neighborhoods and strip malls, she recalls a school with a small-town vibe, enthusiastic school spirit and competitive sports teams. On the morning of April 20, 1999, Martin was in the school’s choir room when shots erupted in the hallway. With a desk barricading the door, 60 students crammed inside an office and hid. As they took cover, she remembers, she shared with a friend some of her teenage hopes and dreams. “Well, you know, I’m going to die in here and I’m a virgin and I will have never met Bruce Springsteen,” she recalls telling a friend. About three hours passed before the police burst into the office and escorted the students out of the building. Porter was in the cafeteria when she heard the commotion. She didn’t think much of it at first. Even a fight at the school, she said, would have been unusual. When someone hollered a warning, Porter sought shelter under a cafeteria table before sprinting upstairs to a freshman biology class, where she again hid under a table. The teacher turned on a television and Porter watched live news about the shooting as it unfolded. 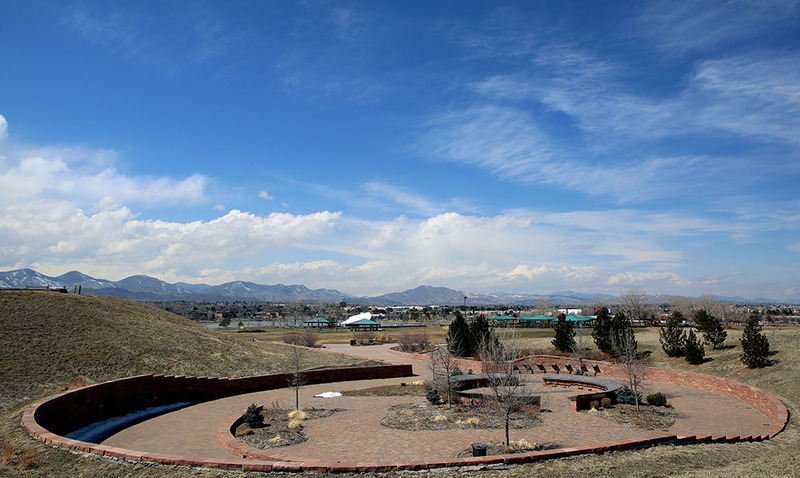 Because the Columbine building became a crime scene following the shooting, students attended class in the afternoon at a nearby campus for the remainder of the year. A month later, members of the senior class — including Martin and Porter — graduated. Some weren’t prepared. The year after graduation, Martin enrolled in a local community college, where she intentionally attended classes with friends because she feared being alone. Now an English teacher, Martin recalls with a tinge of irony how she failed out of two college English classes. A professor assigned a paper on a topic that had consumed the national discourse: Gun violence in schools. Shaking and terrified, Martin told the instructor she couldn’t complete the assignment. She failed the class. That was one of two English classes Martin failed — for similar reasons — and eventually she stopped attending lectures altogether. She worked three jobs to keep herself busy and failed out of school. About a year later, she developed an eating disorder. During her senior year of high school, Porter joined the National Guard and played flute in the band. But she said the shooting gave her a new perspective on firearms. Porter went to college to study education and Spanish, became a Mennonite and embraced pacifism. For Reed, her life felt like “a roller-coaster ride for a really long time” after the shooting. She stayed at Columbine for three years after the tragedy, until each surviving class graduated. In those years, student breakdowns occurred daily. Early in her third year, she realized she was in bad shape. Struggling from anxiety and post-traumatic stress disorder, she took a two-year leave of absence. Reed enjoyed reading romance novels as an escape during summer breaks, and her husband encouraged her to write a book of her own. He bought her a laptop so she could write wherever she went. Since then, she’s published four romance novels and a work of literary historical fiction. For Martin, a decade went by before she truly began to heal. 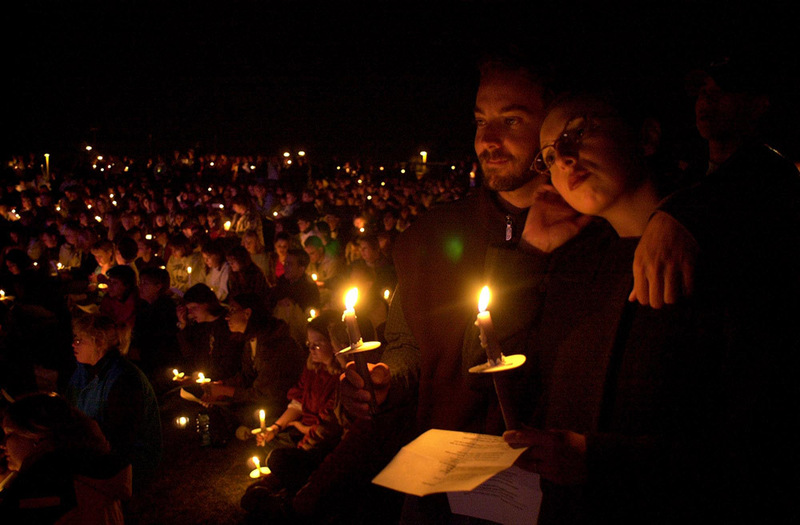 After a bout of challenges, Martin returned to the Columbine campus for a 10-year anniversary event. The last time she had visited was to collect personal belongings that police tagged as evidence. Previously, she’d skip town when the anniversary rolled around, and she was anxious about going back. But meeting with high school classmates and friends “really changed the trajectory for me,” she said. At the end of her two-year reprieve from the classroom in 2004, Reed returned to her job at Columbine, where she worked until she retired last May. In the years after the tragedy, she had to confront triggers on the job, including anxiety when she was around large groups of teenagers — a daily occurrence. Still, she was glad to be back. “I just got back in and went, ‘Oh yeah, this is it. This is what I’m supposed to do. This is where I live and breathe, and this is fine,’” she said. Porter also spoke optimistically about her job as a teacher — a career choice she said was motivated in part by her experiences with educators at Columbine. “It just reinforced it after the tragedy that they really cared about us,” she said. When Martin and Porter were students at Columbine, emergency preparation largely centered on fire drills. But in today’s era of school security — partly set in motion by the Columbine tragedy — active-shooter drills have become the norm. Each of the educators acknowledged that the sound of fire alarms can be triggering. In recent years, some communities have adopted active-shooter drills that aim to simulate real-life scenarios. In a recent drill implemented by an Indiana sheriff’s office, for example, teachers reportedly sustained minor injuries after being shot with airsoft guns. In other districts, law enforcement officials have fired blanks in schools so students recognize the sound of gunfire — a practice that’s been criticized for unnecessarily traumatizing students and educators. Still, each of the educators said it’s important for schools to prepare for the worst, and drills can be helpful — though they noted that it’s important the procedures don’t unnecessarily traumatize students. 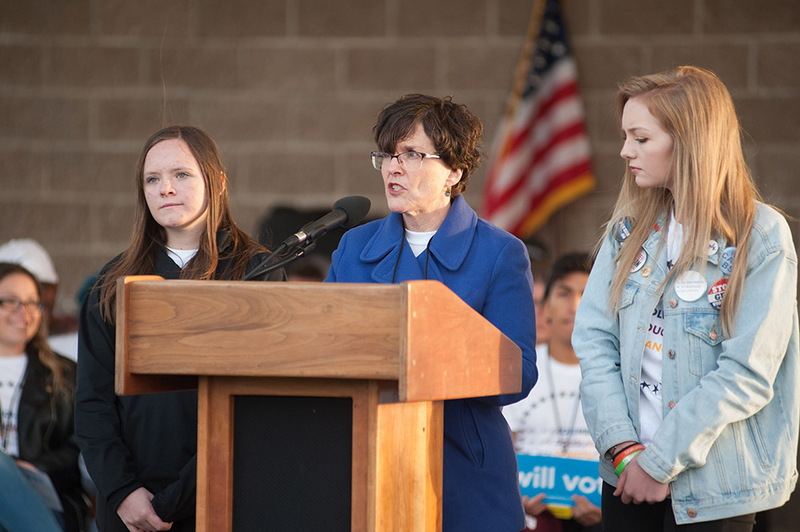 Every year, Martin said, she tells her students about surviving Columbine — and urges them to take the drills seriously. Sharing her story often comes with an unintentional, positive side effect, Martin said. After she discusses surviving the tragedy, students are more willing to share their own traumatic experiences. As a young adult living with grief, Martin felt alone. After the 2013 shooting at an Aurora movie theater, she helped launch the Rebels Project — another “big step” in her journey to recovery. Named after the Columbine High School mascot, the group serves as a support network for the survivors of mass shootings. The group now has more than 900 members who survived more than 50 shootings in the U.S. and abroad, she said. Though her students are younger, Porter said, she teaches them empathy. When they have a bad day, she tells them tomorrow will be different and gives them a “do-over.” Reflecting on the tragedy, she said students need better access to mental health care. But all three educators stood firmly against one school security strategy: arming teachers. If she had been armed in 1999, Reed said, she’s unsure whether she would have been able to pull the trigger to save her students. She had taught one of the gunmen, too.